The NDA government is considering a package of proposals for the distressed agriculture sector that includes interest-free loans, loans without collateral and an income support scheme. Sources said the Agriculture Ministry, in consultation with Niti Aayog, is working on the broad contours of a plan that includes measures to provide income support and funding relief to small and marginal farmers, including the possibility of interest-free loans of up to Rs 3 lakh to this segment. 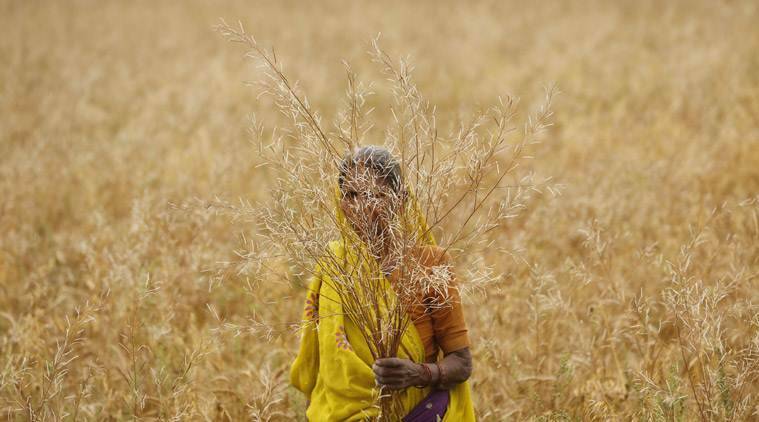 The government already provides an interest subsidy to farmers who repay their loans on time. While banks have traditionally been reluctant to give interest-free loans, they are likely to go ahead if the government were to reimburse the interest component. The proposals could be announced in the interim budget or even earlier. A senior official said that banks have had consultations with Ministry officials. Another proposal that was discussed is collateral-free loans for farmers. This loan could be up to Rs 2 or 3 lakh. However, banks are not comfortable with collateral-free loans unless steps like a credit guarantee mechanism are put in place by the government. Bankers and the Reserve Bank of India are against loan waivers by states. RBI Governor Shaktikanta Das had said any generalised farm loan waiver would adversely impact the credit culture and behaviour of borrowers. Government sources said the Finance Ministry has already asked various ministries and departments to detail their funding required for “new schemes”, as part of its preparations for the Budget likely on February 1. Funding allocation for new schemes is expected to include income support measures for the small farmers. The government, however, is yet to work out whether complete interest waiver on loans will be provided to all farmers or only those who repay on time, a senior official said. State Bank of India has proposed an income support scheme. “Farm loan waiver is not the solution for this problem. We need to increase farmers’ income. Hence there is a dire need to introduce income support scheme at an all-India level,” according to an SBI Research report. As there are 21.6 crore small and marginal farmers — most of whom are not in a position to repay the loan or put collateral — such a scheme is the only way to support their fund requirements, apart from ensuring market prices for their produce. SBI has suggested providing Rs 12,000 per family per year in two instalments, which will involve an outgo of Rs 50,000 crore nationally. Telangana has done the first direct benefit transfer to farmers under the Rythu Bandhu Scheme where farmers are supported for two crops per year. On January 11, The Indian Express had reported that the government is also considering an adaptation of Telangana’s scheme where farmers tilling less than an acre would be given Rs 4,000 per acre or a proportion thereof depending on the size of land holding, for each of the two cropping seasons – rabi and kharif. The fiscal impact of the farm loan waiver is also a concern given that usually capital expenditure becomes a soft target for deficit control. “This has already been witnessed in the case of Maharashtra, Rajasthan and Karnataka, which announced farm debt waivers outside the budget in FY18. Despite revenue receipt surpassing the budgeted amount, these states could not keep the revenue deficit at the budgeted level, as the farm loan waivers led to a rise in revenue expenditure,” India Ratings said. Even as states offered farm loan waiver schemes and the Centre hiked minimum support price (MSP), RBI data shows that loan defaults — or non-performing assets (NPAs) — in the farm sector have gone up by almost Rs 23,000 crore to Rs 83,153 crore by March 2018 from Rs 60,161 crore in March 2017.